At Premier Dental Care in Port Arthur, Dr. VIna Lu provides quality veneers to enhance your smile, including several material choices to meet your individual needs. 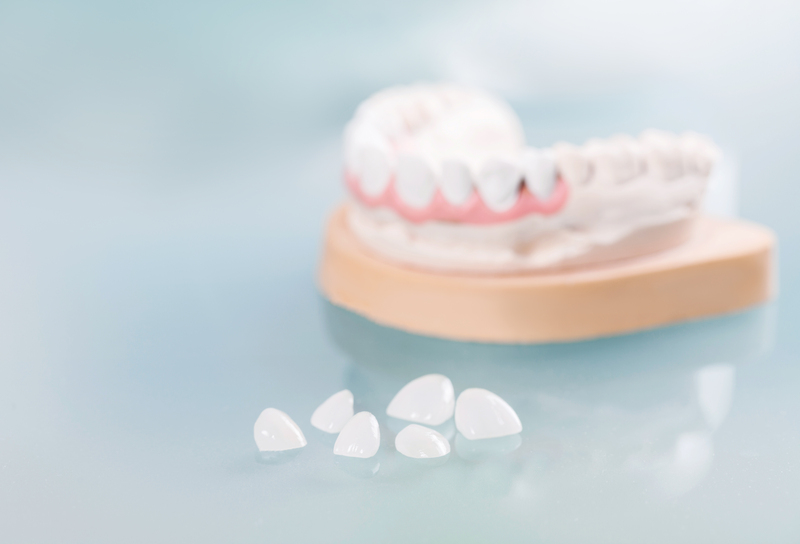 We offer traditional porcelain, no-prep Lumineers®, and economical chairside bonding. Dental veneers can completely change the look of your smile and address multiple cosmetic issues with one procedure. For more information about cosmetic dental veneers, contact our office today for your consultation! Traditional dental veneers are thin pieces of porcelain that are designed to fit over your existing teeth to produce a bright and aesthetically pleasing smile. A veneer effect can also be created with composite dental bonding, depending on patients’ needs and expectations. During the treatment planning process, our Port Arthur dental veneer provider has a model made so you can see exactly how your veneers will look. Adjustments can be made before you make your final decision so your finalized treatment is just how you pictured it. With this cosmetic procedure, intrinsic stains that are resistant to whitening can be corrected, in addition to chipped or misshapen teeth, which uniformly beautiful. Gapped or mildly misaligned teeth are also common problems that can all be corrected with veneers. Traditional porcelain veneers involve preparing your teeth by removing some enamel to create a proper bond. These veneers are long-lasting, resistant to staining, and look most natural. Lumineers® involve little or no prep of natural enamel, as these prosthetics are super thin. Patients who benefit most from this treatment are those with small, thin, or pushed-back teeth. Dr. Lu can help you decide which method is best for you according to your unique needs. With either option, an impression of your smile is be obtained from a top, trusted lab to create your veneers. When the veneers are ready, usually about two weeks, you will return and Dr. Lu will carefully and precisely apply each veneer to each of your teeth to be treated. You can also opt for chairside dental bonding in out Fort Arthur dental office. During this process, Dr. Lu paints the bonding material directly onto your teeth. This is a cost-effective choice and provides excellent results but may not last as long as porcelain veneers. Cosmetic bonding is best used for minor aesthetic corrections, such as small chips and gaps between teeth. Premier Dental Care has experience in providing dental veneers for more beautiful smiles. We are conveniently located on 39th between Doctors Drive and Park Lane. Our dentist takes a gentle and compassionate approach to our patients and considers your comfort to be a priority. If you are unhappy with your smile and would like to enhance your look with dental veneers, call our dental office today – we are here for you.